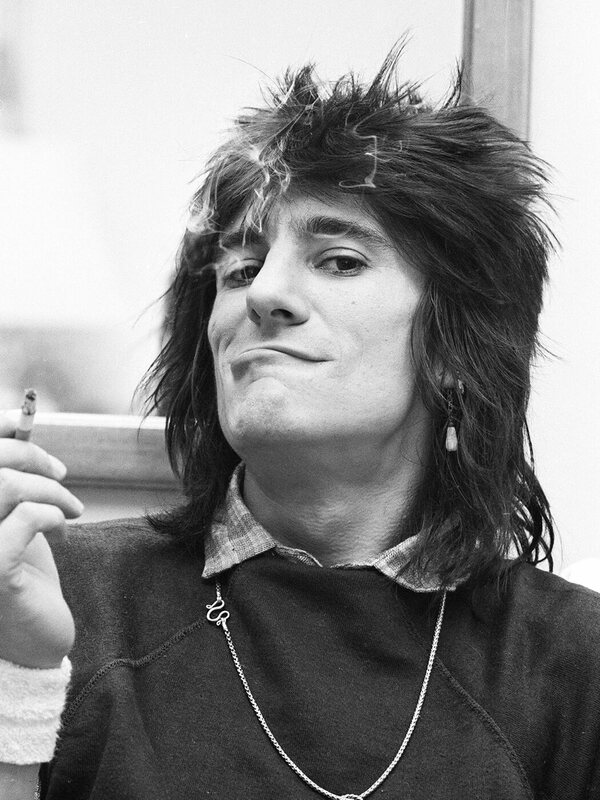 Ron Wood has experienced a rebirth. Not in a religious or New Age-y sense – but at the age of 71, he’s beaten cancer and attained hard-won sobriety after decades of overindulgence. Re-energised and refocused, he has a young family, a renewed sense of purpose and he’s finally recognising what truly matters to him. 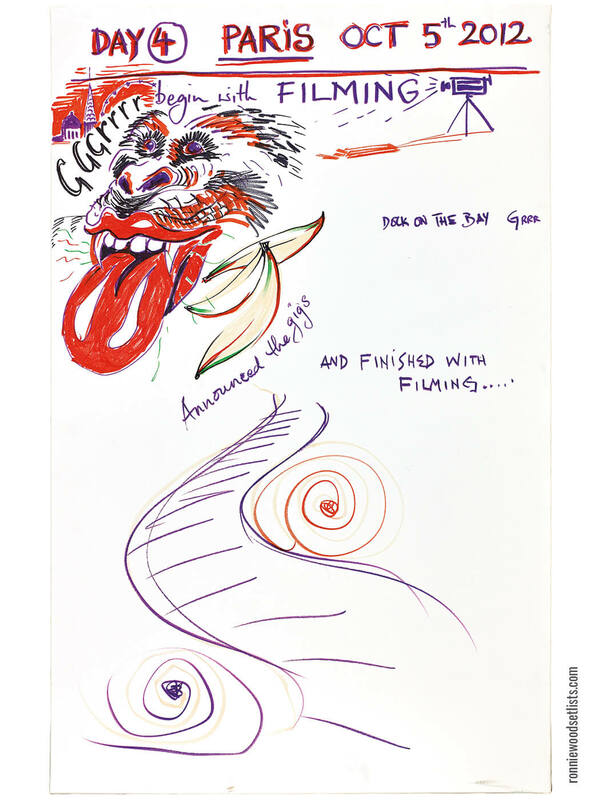 Not content simply with playing guitar in the world’s greatest rock ’n’ roll band for over 40 years, the Rolling Stones guitarist has also maintained a parallel career as a respected painter. 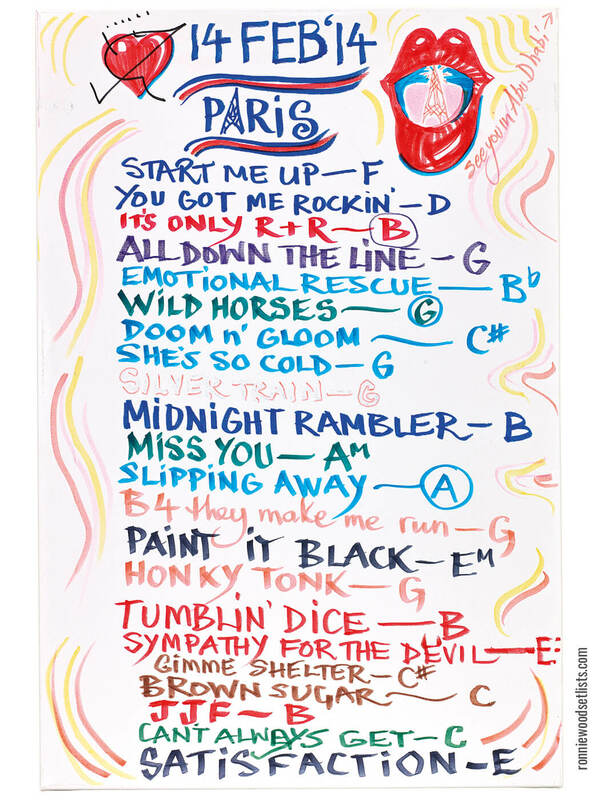 He’s speaking now because of his latest project: a sumptuous new book called The Rolling Stones Set Lists, which offers rare behind-the-scenes insights into the creative process of the Stones. Wood was born in 1947 into a self-described “water gypsy” family, and lived on a canal boat in London with his two older brothers. They not only turned him on to music, but also painters – Caravaggio, Rembrandt, Goya, the Impressionists and others – and he started drawing. As a young teen, he picked up a guitar and instantly became captivated by the inherent possibilities and challenges. He was soon playing well enough to join local bands. At 17, Wood and friends formed R&B outfit The Birds, in London. In ’67, he moved onto The Jeff Beck Group, soon switching to bass for two landmark albums (Truth and Beck-Ola). 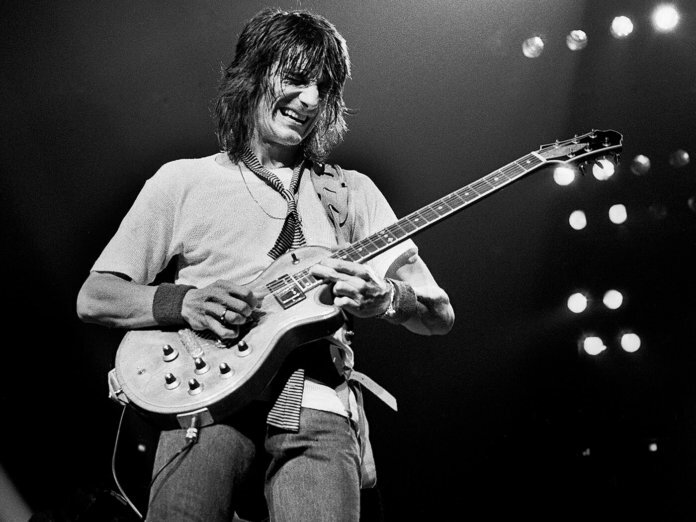 After these, he joined the Faces along with ex-Jeff Beck Group singer Rod Stewart and returned to guitar. He’s famously woven together a repertoire of guitar techniques that make him the ideal sideman and six-string foil (he’s also a master of both slide and pedal-steel playing), yet Wood’s foremost guitar signature is his visceral feel. He’s also effortlessly turned his hand to songwriting, with his fingerprints on rock classics such as Gasoline Alley, Ooh La La and Stay With Me; delivered solo albums (including I’ve Got My Own Album To Do, Gimme Some Neck), and collaborated with Bob Dylan, Aretha Franklin and David Bowie. 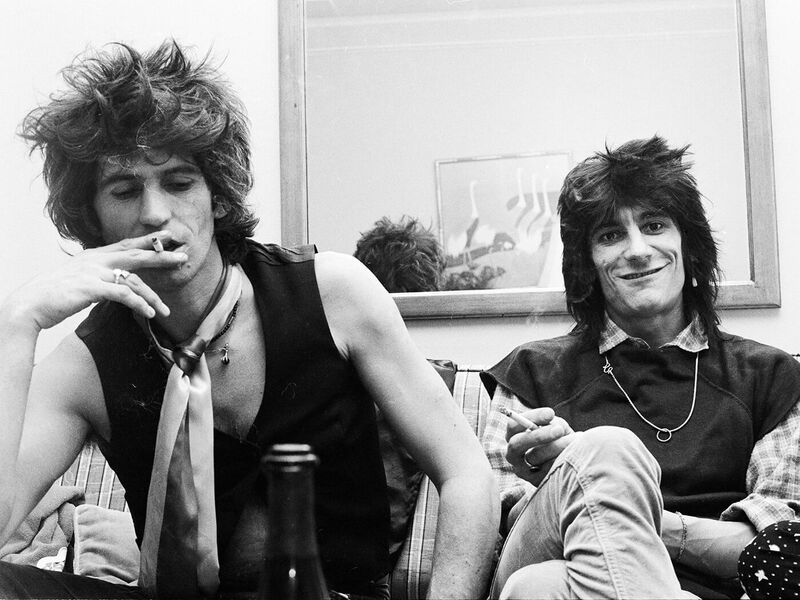 Wood became a Stone in the mid 70s, following Mick Taylor’s departure, and instantly became Keith Richards’ musical and spiritual sibling. They ignite the world’s stages to this day, helping to maintain the band’s reputation as an untouchable live act – a fact reinforced by their recent triumphant world tour. Despite his jet-set lifestyle, Wood has continued painting over the years, with his portrait work collated in 2017’s Artist. 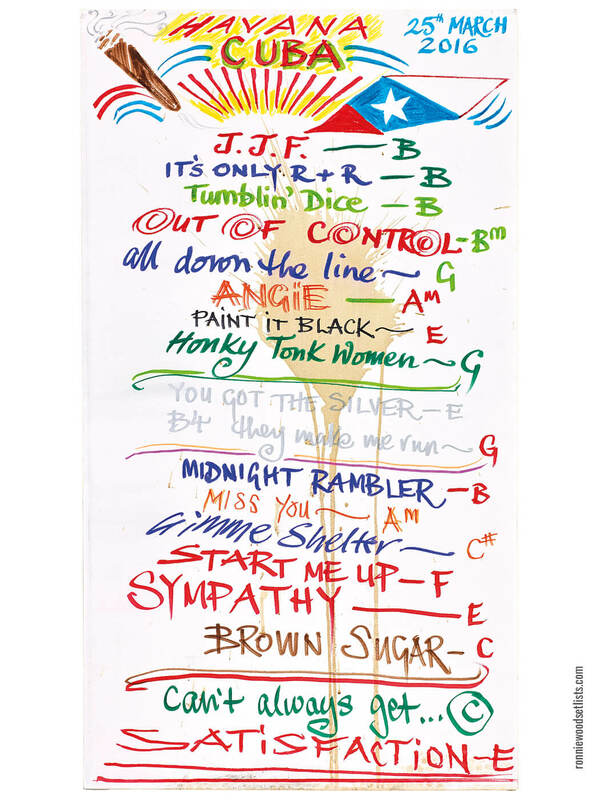 The new book, the enormous, colourful limited-edition tome The Rolling Stones Set Lists, features more than 100 vividly handpainted setlists. These are interspersed with road anecdotes, to present a privileged view of the band at work. His evolution as a painter is ongoing. “I’ve done landscapes on and off, but now more intensely. I started doing abstracts as a kid, then moved into realism. But I’m returning to landscapes more as I’ve got older. Now I’ve got guitars growing out of the landscapes, so I call them ‘guitarscapes’,” he explains, showing off some of his wild creations. 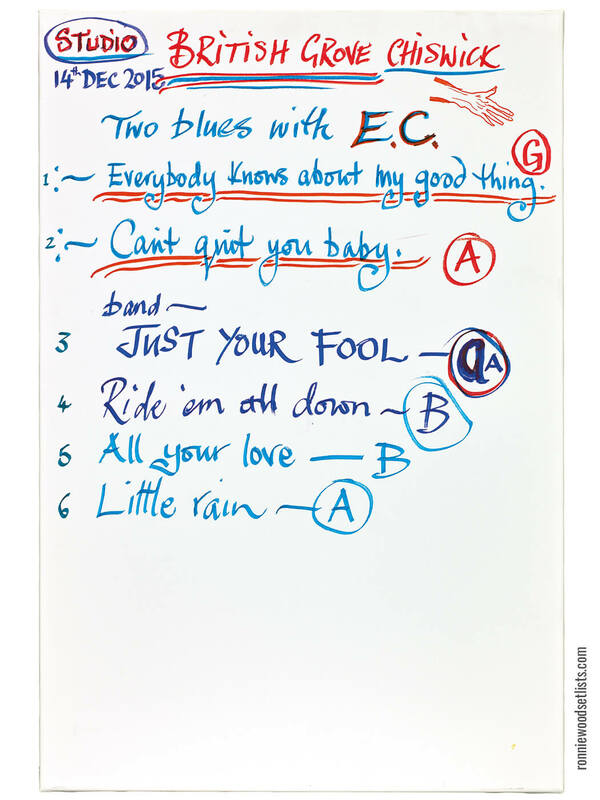 The Rolling Stones Set Lists by Ronnie Wood, the limited-edition book, is available from Genesis Publications. 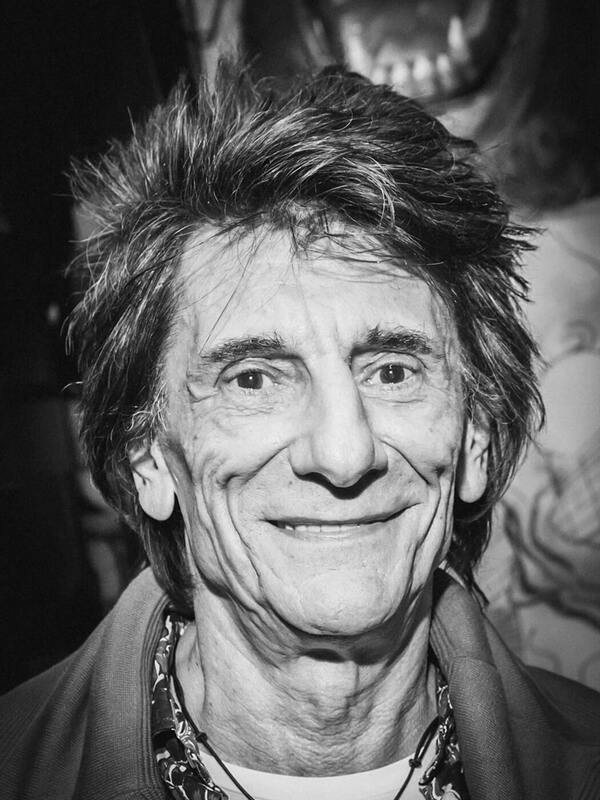 Buy it from at ronniewoodsetlists.com.